When Day 1 of the SCOOP $1,050 Main Event ended, the last remaining representative of Team PokerStars Pro went to sleep with a chip stack of 1.5 million. That put him squarely in the middle of the 19 runners who still had a shot at the $502,086 first prize. It turns out that's exactly where he wanted to be. The torrid pace of play leading up to the final table was set in the first 30 minutes. pino1234 was first to go when he shoved all-in from the small blind for his last 370K holding J♣9♦ and tcblade called in the big blind with Q♦T♣. pino1234 flopped a jack, but tcblade went runner-runner for two pair to send pino1234 out in 19th place ($8,154.90). jomamusfat would quickly follow him to the rail in 18th ($9,594) when he flopped a straight with Q♠J♣ but fell to jcamby33's runner-runner flush with Q♥T♥, with P0KERDUUDE dropping in 17th ($9,594) when he ran his pocket nines into JC Alvarado's pocket queens. Then the first of many big coin-flip pots on the day would go to ErikXP when he called tcblade's 1.2M all-in bet with a pair of deuces; tcblade's A♥K♦ never caught and he would finish in 16th place. hasuace did manage to come back a bit when he took down Rae_Kwon_JHK's 5♥5♦ with 9♥8♥, sending his opponent out in 15th place ($14,391). One minute later smeggi took his leave in 14th place ($14,391) when his T♣ T♠ was cracked by ErikXP's K♣8♥ catching trip eights on the turn, and Ggod followed him in 13th place ($14,391) when he got all-in preflop with K♣ K♦ against Teejmeister1's A♦K♥, only to see an ace hit the flop. TheL0bster fared much better than some of the incoming short stacks, holding on until he found A♣T♦ and then shoving for 754K, but he would leave in 12th place ($19,188) when fan4mizzou's 9♠ 9♣ for fan4mizzou spiked a set on the flop. As the first hour and the 25K/50K blind level came to a close we would lose former Sunday Million champ jcamby33. After ErikXP opened the betting with a raise to 127,999 in late position, jcamby33 raised to 430K; he then called with A♥Q♥ when ErikXP set him all-in. ErikXP's 9♣9♦ was already in the lead, but when the flop came down 9♥7♣6♦ jcamby was drawing thin to a chop. 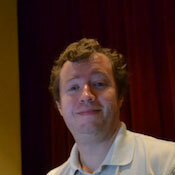 No straight came and jcamby33 was out in 11th place ($19,188). With blinds and antes now at 30K/60K/7.5K, everyone at the table except for phinomenon had at least 30 big blinds to work with. But phinomenon had plans of his own that didn't involve being the first player out. First his J♥ J♠ would win a race against weeminer's A♥ K♦ to grab a pot worth 2.7M. Then he would pick up Q♦ Q♣ against big slick again - this time A♥K♠ for ErikXP - and win the race with a Q♥ 7♥ 9♠ 2♠ 8♥ board, boosting him to 5.7M. He would hold on to the top spot for the next hour, taking his lead to the second break. On the first hand back from that break phinomenon would benefit from another big pair, with this one coming in an even better spot than his previous ones. Sitting in the 120K big blind with J♥J♣, he had an easy call when Teejmeister1 shoved for 1.5M from the button. Teejmeister1 showed Q♦5♥, and his ill-timed steal attempt would send him home in ninth place ($25,584) when the board ran out J♦9♦2♣7♣3♦. The next player to go would be fan4mizzou, thanks to two crucial losses nearly back-to-back. First he came out on the wrong end of a 5.2M coin flip, losing with A♣J♥ to Crisper's T♥T♦ to leave himself just 110K with the blinds at 70K/140K. After that hand, fan4mizzou got all-in for his remaining stack with Q♦T♥ but fell to ErikXP's K♥J♠ when the board came 8♠J♥T♣6♥6♦. That sent him home in seventh place, earning him $71,955. A few minutes later, despite holding a stack of 3.1 million, phinomenon would commit himself preflop with the fourth bet holding A♦Q♥ only to run into Crisper's A♣K♥. With the community cards reading 9♥ 2♣ 5♦ 7♦ A♠, phinomenon was gone in sixth place ($103,935) and Crisper seized the chip lead with 9.4 million. With play now five-handed, JC Alvarado found the first pot that would lead him to the championship. The action folded to him in the small blind and he raised to 389,999. ErikXP called and the flop came down 3♥ 9♥ 8♥. Alvarado led out for 567K and wasted no time shoving all-in for 4.5M after ErikXP raised. ErikXP made the call with K♥6♠ for the second nut flush draw and Alvarado showed J♦ J♠; the jacks held up through the 4♣ and Q♦ river to send the PS pro up to second place, just a few hundred thousand behind Crisper. When the 80K/160K/20K level arrived a few minutes later, Alvarado would be in the lead. Just into the new level, weeminer would see a steal attempt go horribly wrong when he shoved preflop with J♣4♣ and Ericb09 called with A♠2♦. weeminer was left short-stacked and would bust six hands later in fifth place ($135,915) when his A♠3♣ couldn't outrun Ericb09's 6♦6♣. Crisper's chances took a big blow when he dropped a 7.8M pot to JC Alvarado on the 100K/200K/25K level. Crisper called Alvarado's 1M bet before the flop and tried to pull of a check-raise on the 3♦ T♥ Q♦ flop, but he mucked immediately when Alvarado immediately min-raised. That left Crisper with just 4.6 million, all of which would go in the middle five minutes later with K♥9♥ agaisnt Alvarado's Q♦Q♠. Crisper would pick up a flush draw on the 3♥T♥3♣ flop, but he blanked when the turn and river came 4♠A♣, sending him home in third place ($263,835). That harsh hand for ErikXP led to a runner-up finish worth $374,166. Meanwhile Team PokerStars Pro's JC Alvarado booked the win for $502,086, topping his previous best prize of $366,798 at the 2008 World Poker Challenge and making him the Medium Stakes Main Event Champion for the 2009 PokerStars SCOOP.